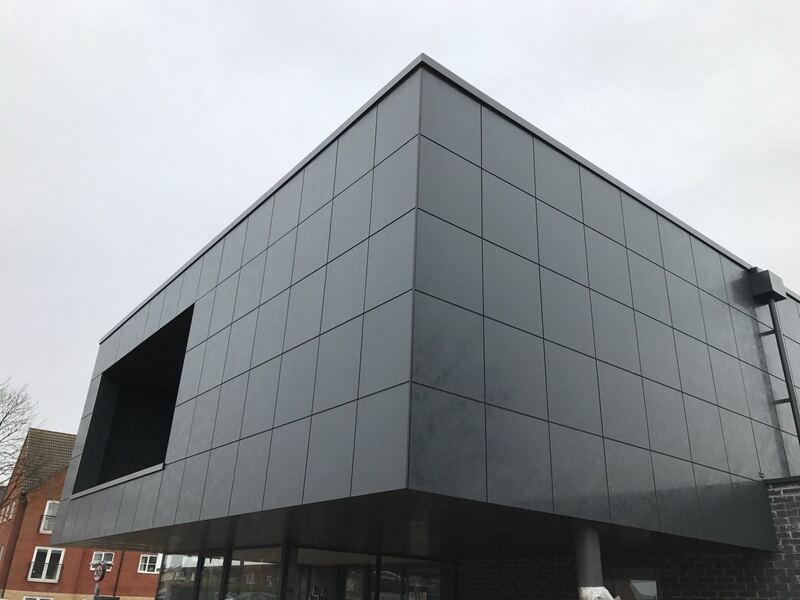 The impressive high pressure laminate Trespa Lumen range plays with light in a new way, changing previous perceptions of facades. 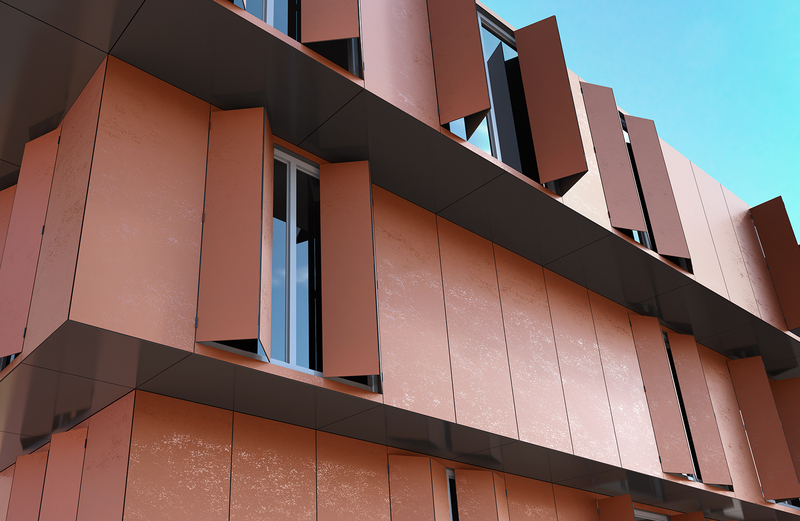 The three finishes available as part of the range are Diffuse, Oblique and Specular, each creating an intriguing facade. Diffuse has a subdued matt finish with low light reflectivity removing glossiness and textures so the panel arrives in its purest form. 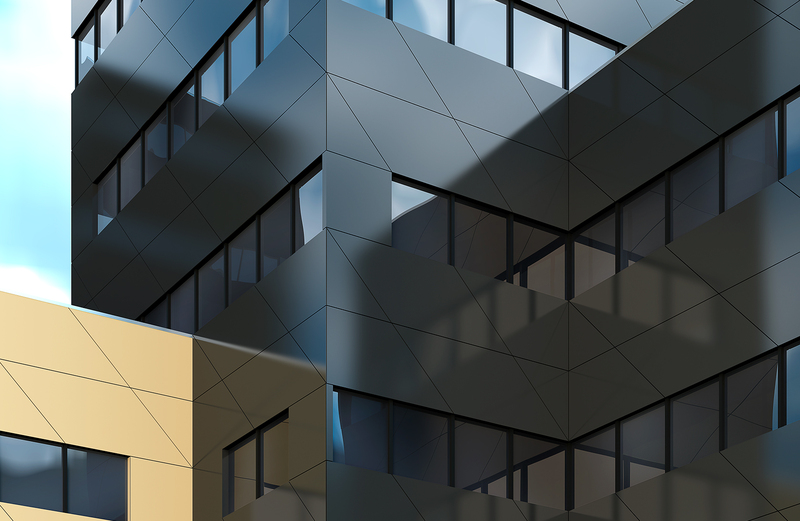 The Oblique finish plays with natural light and adds movement and tone to a building. The subtle matt and gloss surface creates a natural weathered look. Reflecting its surroundings with deep colours and gloss the Specular finish adds liveliness whilst simultaneously integrating into its surrounding environment. For more information on the Trespa Lumen range please contact your local branch.